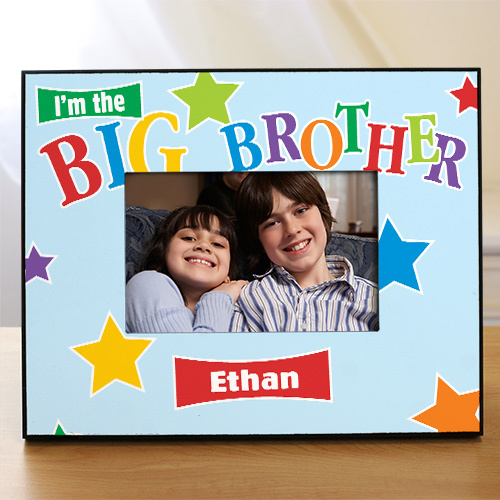 This Personalized Big Brother Photo Frame makes a great keepsake for any little brother getting a new baby brother or sister. Our Personalized Big Brother Photo Frame can be personalized with any name and please specify little, middle or big. like this unique frame will surely be cherished by any son for years to come. Additional Details Shop big brother gifts to find more great picture frames and personalized t-shirts for the new big brother to wear!